The Hyundai i20 belongs to a new generation of the i-series. With the introduction of the Hyundai i10, which was quite a success, Hyundai India has laid a platform for the i-series cars. A lot of improvements have been done for the i20 keeping in view not only the domestic market but also the export markets. With reference to ourreview on the Hyundai i20, I would like to share my experiences with the on-road performance of the i20 and also compare it to the Swift and Fabia. The engine builds up speed quickly from 0 to 60 KMPH in 5.4 seconds and to 100 KMPH in 13.3 seconds. The strength of mid-range torque builds up strongly and increases momentum as the RPM crosses 3000 RPM. In the 5th gear, the top speed is 169KMPH. The Hyundai i20 manages a decent economy of 14 KMPL in the city and 19 KMPL on the highway. There is a slight difference in mileage depending on the use of the AC. Without AC the mileage is about 2 KMPL better. The overall efficiency of the car will be 15KMPL. With ventilated disc brake in front and a drum brake in the rear, sudden brake of 100 to 0 KMPH can be achieved within 45 meters. The car’s handling is superb in the city with motor assisted power-steering, which gives fantastic drivability. The suspension ensures comfortable and smooth ride handling. With a 1197 cc engine, the Hyundai i20 delivers 80 PS@5200 RPM. In comparison, the Swift 1298cc delivers 88PS @6000 RPM, and the Fabia 1198CC delivers 70PS@5400RPM. While the i20 and Swift are somewhat similarly priced, the Fabia is clearly more costly. 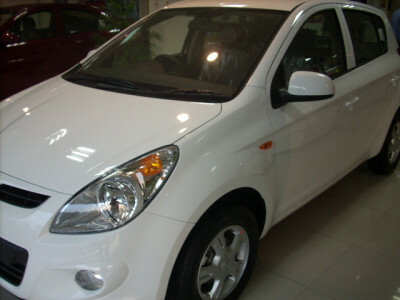 The price of Hyundai i20 Asta is 5.6 Lac, the Swift 5.1 Lac, and the Fabia 7.1 Lac. The Swift’s performance is very good with good handling but the car lags in build quality. Here the major advantage of i20 over Swift is that of decent but impressive styling, ride quality and added safety features with surrounding 6 airbags. All in all, wecan say that the i20 is thea great carwith great features and moderate price. 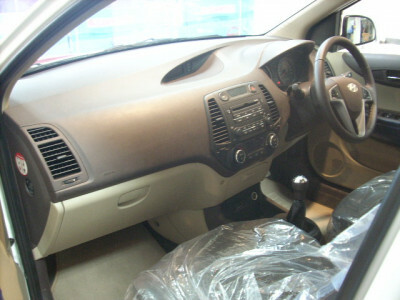 Shiva Shankar is an auto engineer by profession and is developing his writing skills while working with Cartrade.com.